Hey zapyourtumor. Hope you found some starting points in this build to get back at it. Dreadbore was almost a thing when they unbanned Jace, the Mind Sculptor but that never really stuck. Bedevil is interesting. I haven’t given it a spin yet. I kinda like Maelstrom Pulse in that slot since it’s less mana straining. Instant speed might be something to think about though. I do not have much experience with -1/-1 counters in EDH. I have tried to build a deck based around them a few times but was never satisfied with the results. 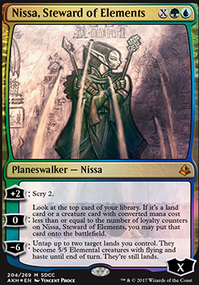 I am primarily going to focus on improving the decks other components. Judging by some of the card selections I am going to assume this is somewhat budgeted and will try to keep that in mind with the suggestions. 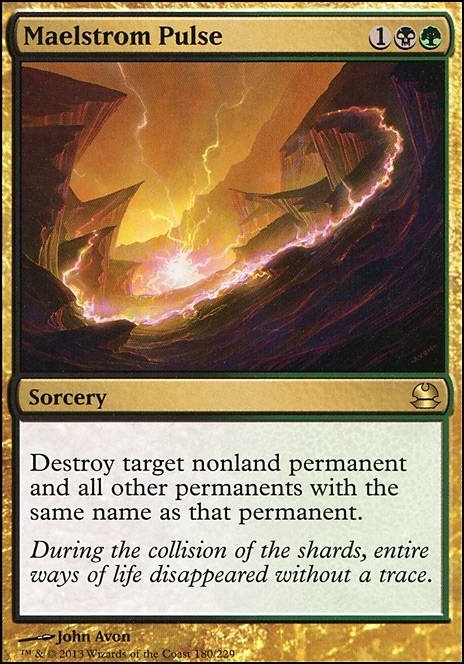 Jund provides access to some really good removal that I think you should consider: Terminate , Bedevil , Abrupt Decay , Assassin's Trophy , Windgrace's Judgment , Maelstrom Pulse , etc. Pernicious Deed and Blasphemous Act are pretty reliable board wipes. If you find yourself with lots of mana and nothing to use it for Fevered Convulsions is thematic. 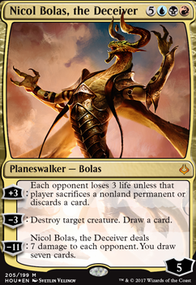 Phyrexian Arena is a card I staple into every black deck. Heroic Intervention is another card I try fit into every deck possible. Mikaeus, the Unhallowed combos very well with -1/-1 counters in general and especially with persist creatures but he is pricey. 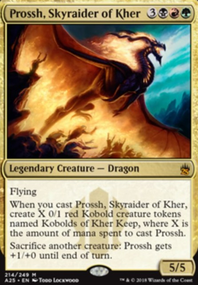 Skithiryx, the Blight Dragon and all his infect friends deal damage the same way wither creatures do but kill opponents more quickly. Skithiryx is expensive but most other infect creatures are not if you want to consider an infect sub-theme. Hard for me to tell without playing the deck the only cycle abilities I see are on your lands, does that allow you to get enough value out of Archfiend of Ifnir ? You should try to get as many shocks and fetches as you can to improve consistency. DerpyFace on Have We Got Ourselves a Deal? Brutal_B This deck tends to be rather good at riding under the radar for a good potion of the early game, but generally it is really awful to be the lead player in the game when playing against this deck, since it enables every other deck against the one player. I will say though, token generating decks are a bit of a harder matchup, since its hard to find good targets to clone when the best cards in their deck do next to nothing on your side of the board (e.g. Sharding Sphinx in a Brudiclad, Telchor Engineer deck). I'm considering running Maelstrom Pulse for this very reason. Hey M_Malcom, that you say is true, but I'm going to keep the Damnation in the sideboard against aggro decks, because there are very decks in the actual metagame against wich Damnation is much worse than Maelstrom Pulse , like UR Phoenix, Dredge, Tron or Azorius Control. In the furture, if the more-creature decks like Humans, Spirits or Zoo becomes important in the metagame, I could add some Damnation s o the maindeck. 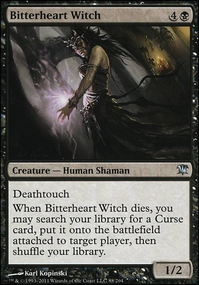 I’d bring in Damnation from the board over Maelstrom Pulse . Killing everything is better to clear the way for the obliterator. This forces them to chuck whatever puny creature they have in it’s way. Dakmor Salvage / Life from the Loam could be good to consider when running Smallpox / Raven's Crime for getting lands back. 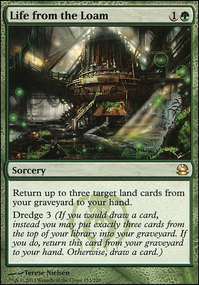 I suggest Abrupt Decay as a mainboard slot as its a very versitle and safe removal spell against early threats that manage to resolve. 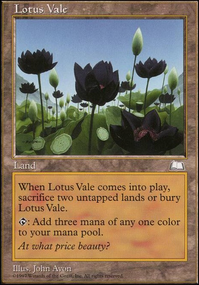 more than likely Naturalize is probably a good pick for what its purpose is however ill also suggest Krosan Grip / Maelstrom Pulse as other possibilities.